Every month, I receive a box called Paper Pumpkin from Stampin’ Up!. 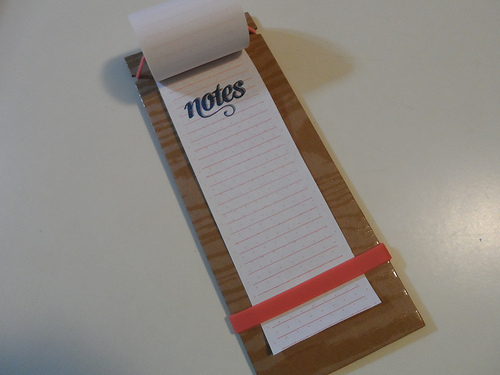 It contains all the things necessary to make a paper craft. I hadn’t made the projects from the last three boxes, so this week I finished two of them. 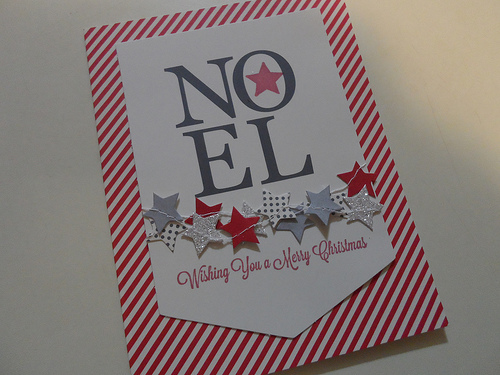 …and set of pretty Christmas cards. This entry was posted on Monday, December 9th, 2013 at 8:47 pm	and is filed under In My Studio. You can follow any responses to this entry through the RSS 2.0 feed. You can leave a response, or trackback from your own site. 16 Responses to " In My Studio – December 9"
They’re great and we bet fun to make. Your Christmas card arrived today…thanks. Love the notebook and the card is fabby. Those are fun. Have a terrific Tuesday. Her husband was one of my very favorite Physics PhD Students back in the late 90’s. How fun. And what a great idea. Seems monthly gift boxes are the new trend. Pee Ess – Stop by our POTP page, we have had to add Molly’s Pippen to it. Such lovely work! I also love those adorable mini-me crocheted dogs on your sidebar. What a neat idea. Those are so cute, you are always finding nice things! What a cute set. Someone on your list will enjoy it!